Want to connect with Lai? Hi there my name is Lai. 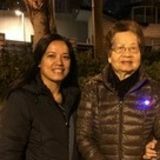 I working with seniors, live in hongkong and want to care for your loved ones. I look forward to hearing from you!